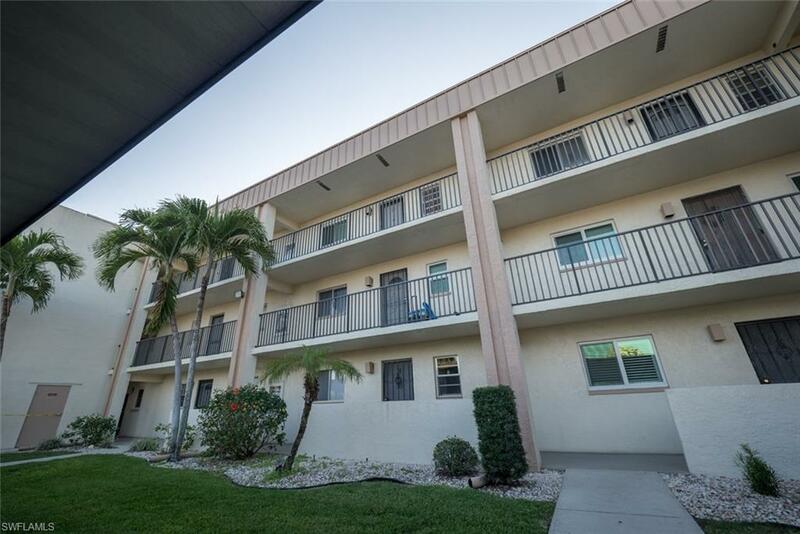 Well maintained spacious condo with a gorgeous view of the pool area. Most 1 bedrooms are a lot smaller than this! Very neat and quiet community with loads of amenities! Pool, Clubhouse, Tennis courts, Exercise Room, Library, Shuffleboard, Community Kitchen, Billiards, Ping Pong and more! Tired of stairs? This one has an elevator and it's 20 steps from your door! Very clean and well kept. 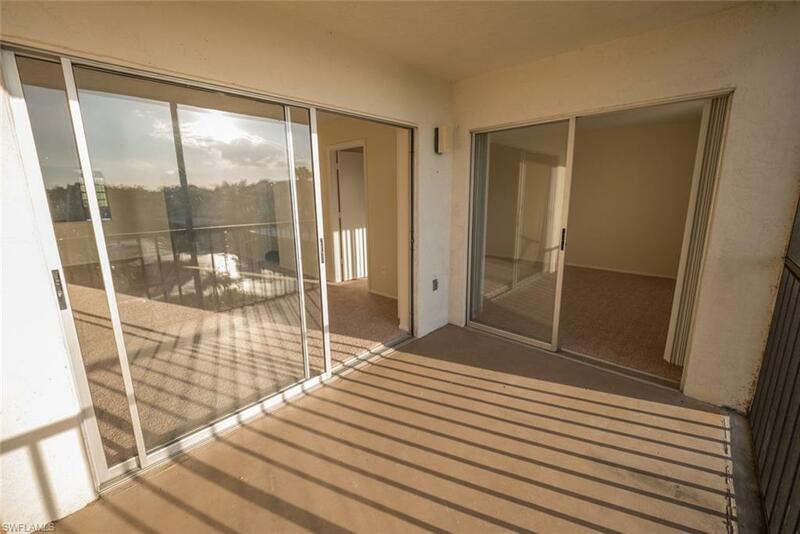 Over-sized screened lanai. Large living room and bedroom with sliders out to lanai. Walk-through door to bathroom from bedroom. Washer and Dryer in unit. Very bright and light kitchen with loads of cupboard space! Also, extra storage space next to elevator. Just a couple blocks off of US 41 and close to EVERYTHING!! Bring all offers! Seller is motivated! 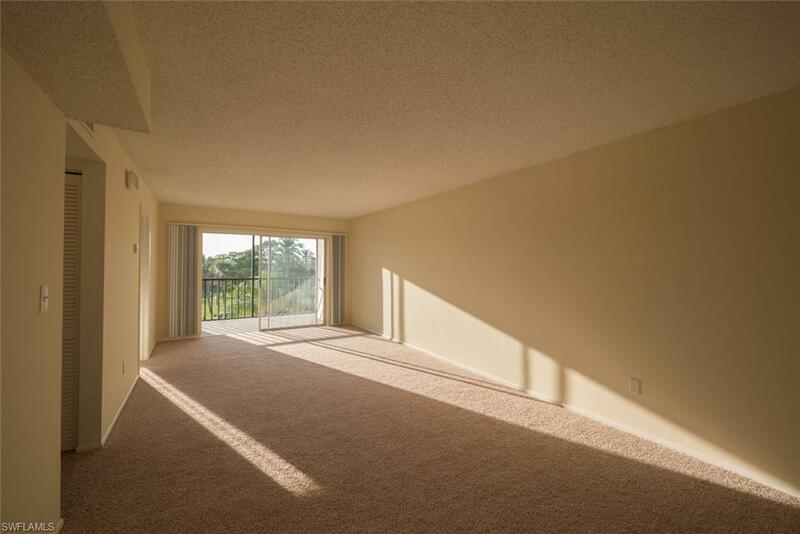 !Beautiful well kept condo 1,167 Sq ft total one bed room, one bath condo. Great location off of U.S 41, convenient location walking distance to restaurants and shopping. Close to airport, and Beach! Private carport parking, elevator access, pool, tennis court, barbecue area, private storage unit room by elevator. Maintenance fee is all inclusive of all amenities! 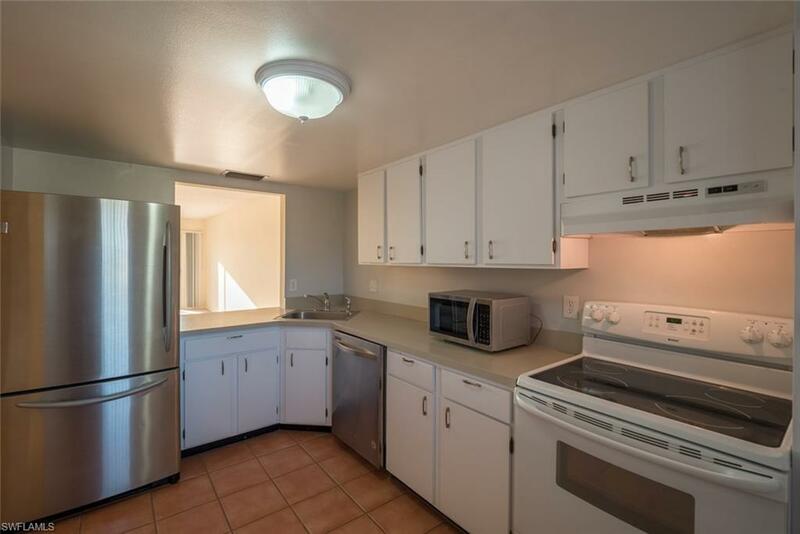 Water included, basic cable, trash removal, maintenance, pest control. Listing courtesy of Mike Lombardo of Old Glory Realty. The data relating to real estate for sale displayed on this Website comes in part from the Multiple Listing Service of the Bonita Springs-Estero Association of REALTORS®, Inc., under License No. 3035763. Properties displayed on this Website include properties listed with brokerage firms other than #1 Real Estate Services. Detailed information about such properties includes the name of the brokerage firm with which the seller has listed the property. The properties displayed may not be all the properties listed with brokerage firms participating in the Bonita Springs-Estero Association of REALTORS® Multiple Listing Service, or contained in the database compilation of the Bonita Springs-Estero Association of REALTORS® Multiple Listing Service. Data last updated 2019-04-25T22:28:18.1.